Sedan – Cecil L. 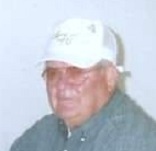 Duncan., age 79, of Cedar Vale, Kansas passed away on Tuesday, March 26, 2019 at Pleasant Valley Manor in Sedan. Cecil was born on June 22, 1939 in Cedar Vale, Kansas to John W. Duncan and Mabel I. (Howell) Duncan. Cecil graduated from Cedar Vale High School in the class of 1958. After high school he graduated from mechanic school in Kansas City. Cecil worked for Staats Ranch in Sedan for over 18 years as well as a self-employed mechanic. Cecil married Velma Turner on January 29, 1961 and they later divorced. He married Eva (Voightlander) Roadenbaugh on February 11, 1989 in Arkansas City, Kansas. They lived in Cedar Vale for several years before she preceded him in death on July 9, 2011. On January 29, 2012 he remarried Velma Duncan. Cecil was a member of the Southern Kansas Brittany Club. He loved training his Brittany spaniel bird dogs and also enjoyed judging field trials. Cecil is survived by his wife Velma Duncan of the home in Cedar Vale, Kansas; two sons, James “Jim” Duncan and wife Lena of Cedar Vale, Kansas and C. Wayne Duncan and wife Stacie of Hutchinson, Kansas; one daughter, Kimberly Duncan of Galesburg, Kansas; one sister, Nellie McGathy and husband Tom of Winfield, Kansas; 10 grandchildren and 13 great-grandchildren. Cecil was preceded in death by his wife Eva Duncan, two sisters, Christine Wilmeth and Nina Archer, and his parents. Dickens Family Funeral Home in Sedan is in charge of arrangements. Sympathies to all the family! Jim, Lena and Katie I am so sorry for the loss of your dad/grandpa. It is hard when we lose a parent as we share so much of our lives with them. Hoping that loved ones and friends will comfort you in at this time. You will be in my thoughts and prayers. Cecil's family and friends have lost a very kind wonderful man. May Velma and his family find comfort and peace in knowing that so many people have fond memories of Cecil and will miss him.